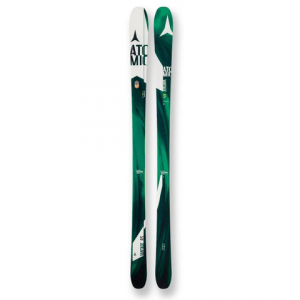 The Atomic Vantage 85 Skis are designed with an all-mountain rocker profile that features positive camber underfoot with rocker at the tip and tail for incredible float in soft snow and control on hard pack. Geared toward the ambitious, the Vantage 85 charges with a directional shape and lightweight wood core made from poplar. Power transmission and edge hold is maximized through Atomic's Firewall sidewall construction which adds another full length sidewall to the mix and upping the performance ante.